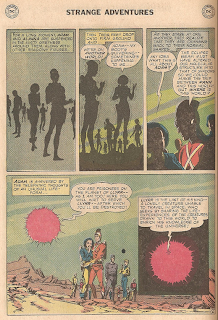 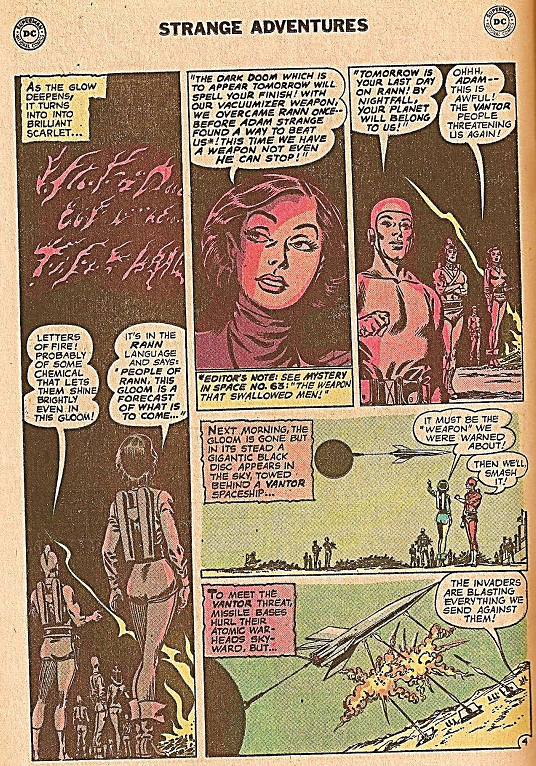 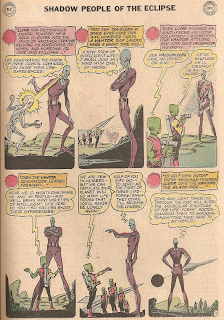 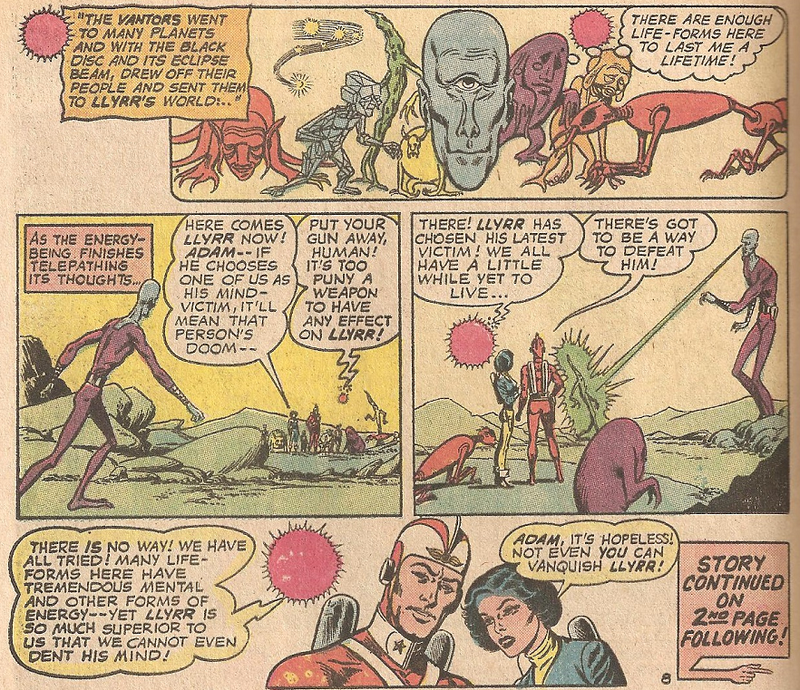 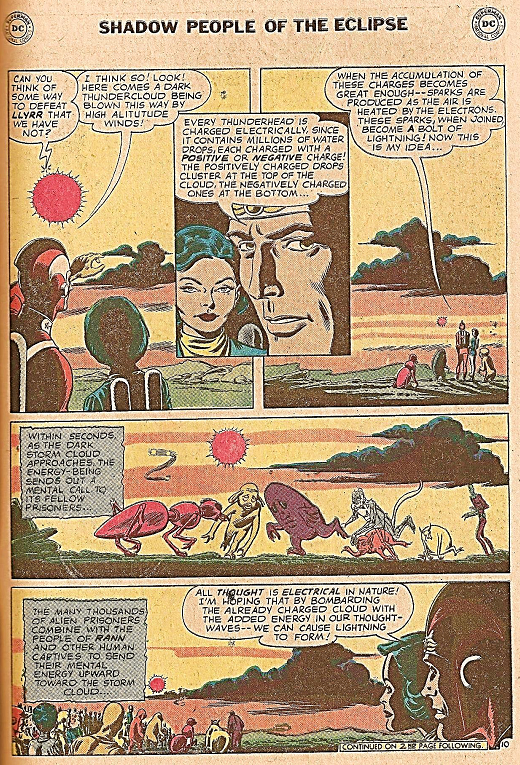 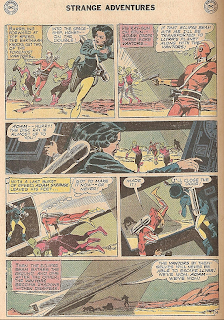 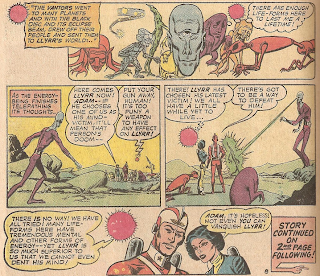 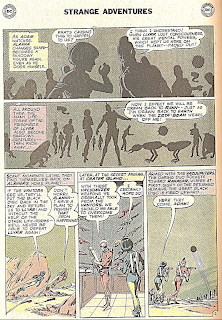 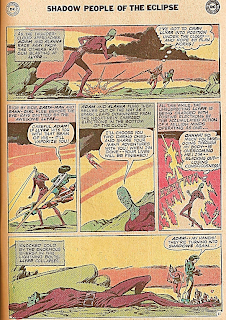 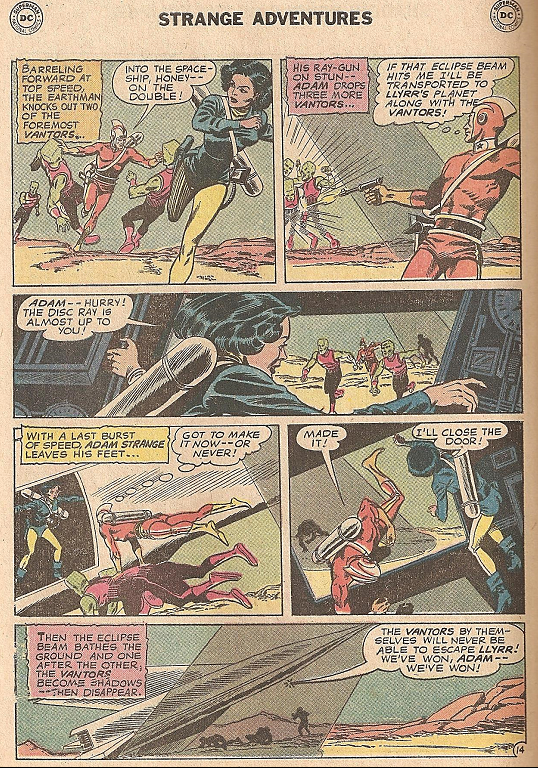 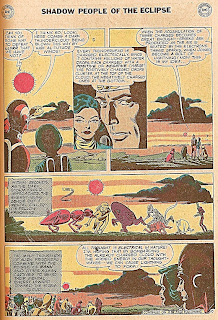 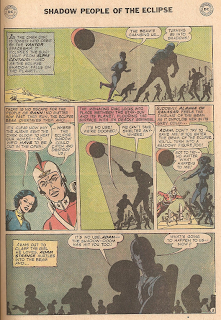 Out of the Quicksand: Infantino Month Part 6: Adam Strange in "Shadow People of the Eclipse"
Comics reviews for those of a grimier disposition. 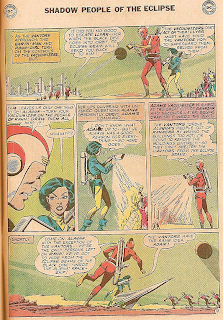 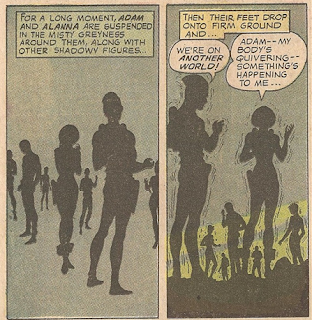 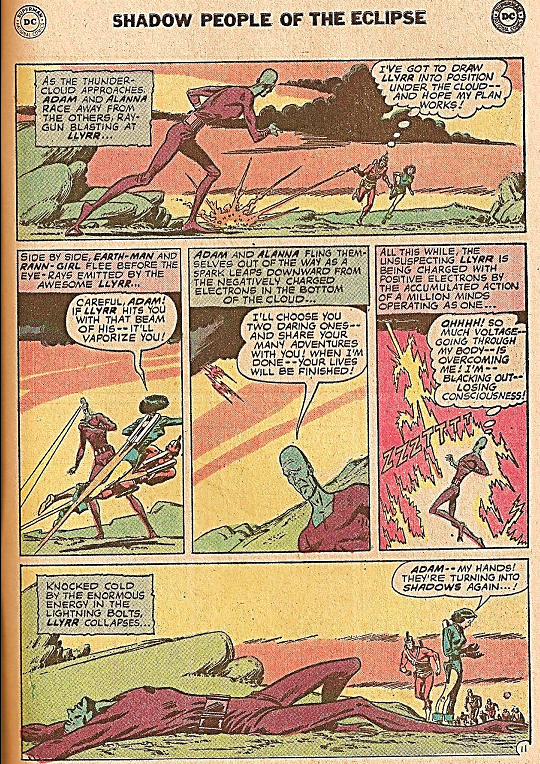 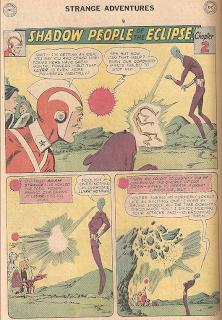 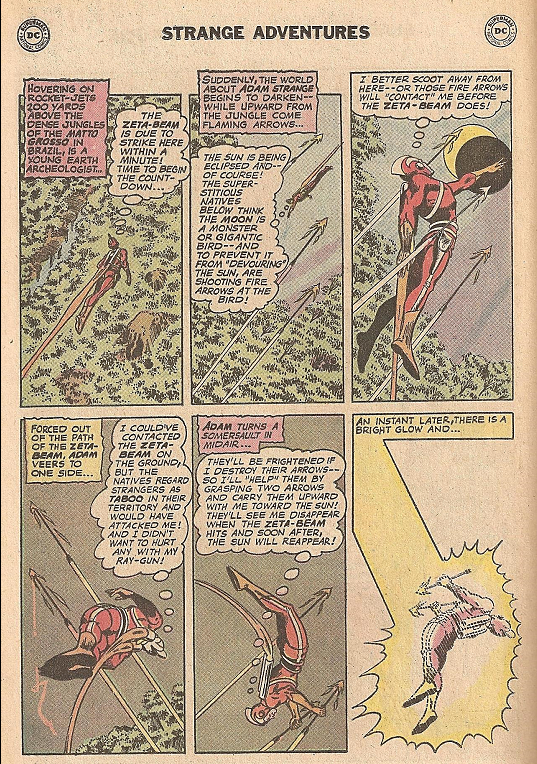 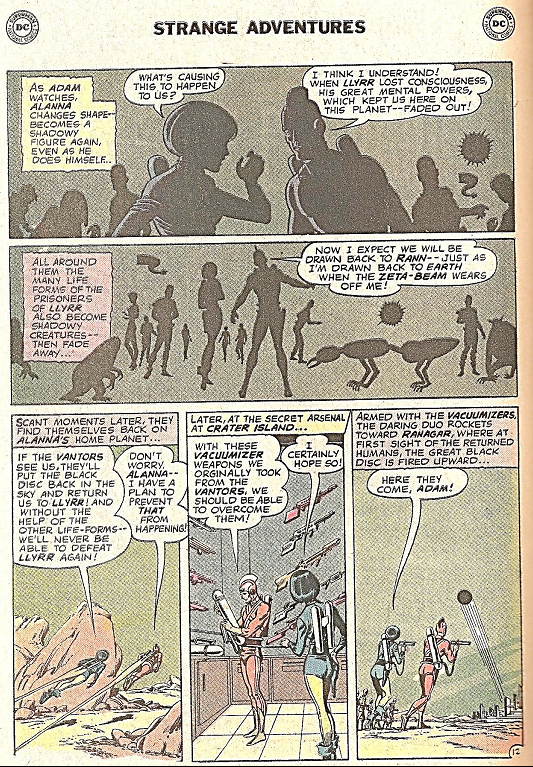 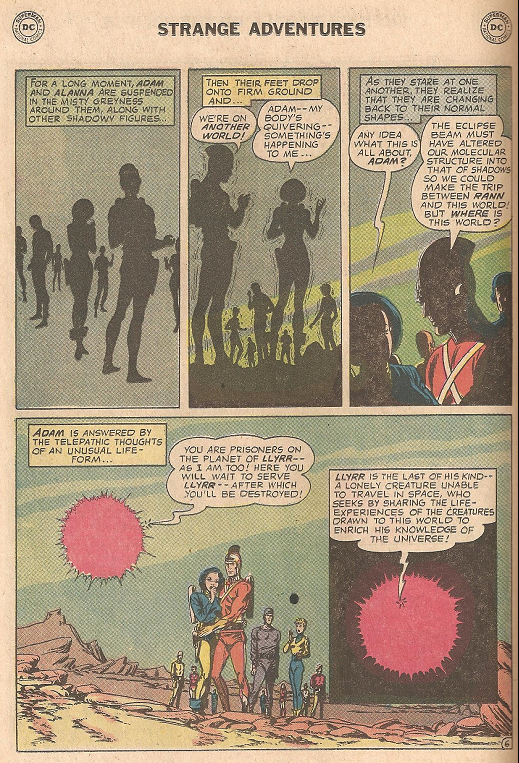 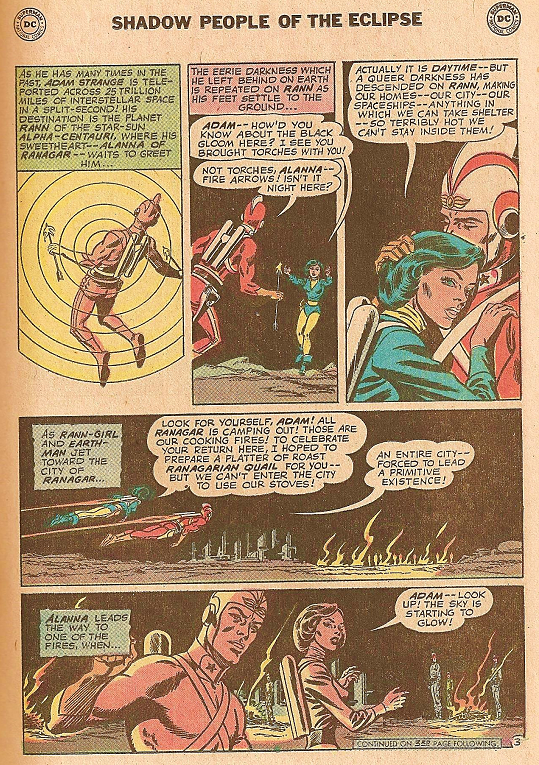 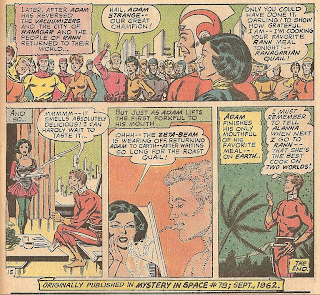 Infantino Month Part 6: Adam Strange in "Shadow People of the Eclipse"
And so Infantino month has come to an end. 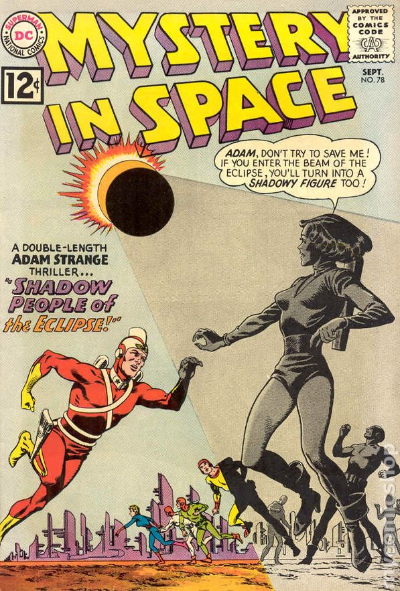 We’ve seen him do superheroes, spacemen and horror. 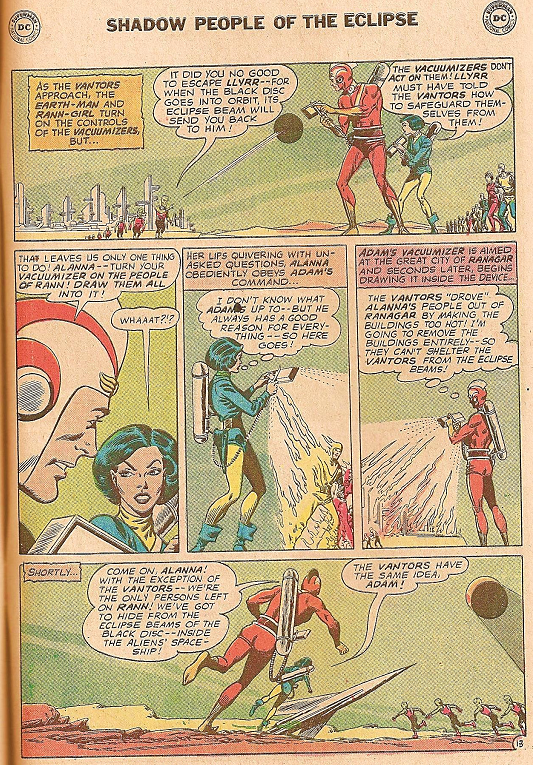 I only wish I could have some of his Golden Age work. 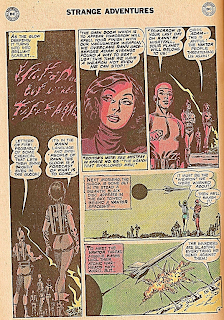 Here’s the sequel to “The Weapon that Swallowed Men” story I posted earlier. 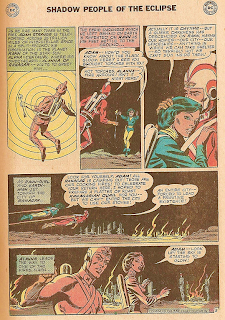 This one has special significance for me as it’s the first Adam Strange story I ever read (In the 1972 reprint in Strange Adventures #238). 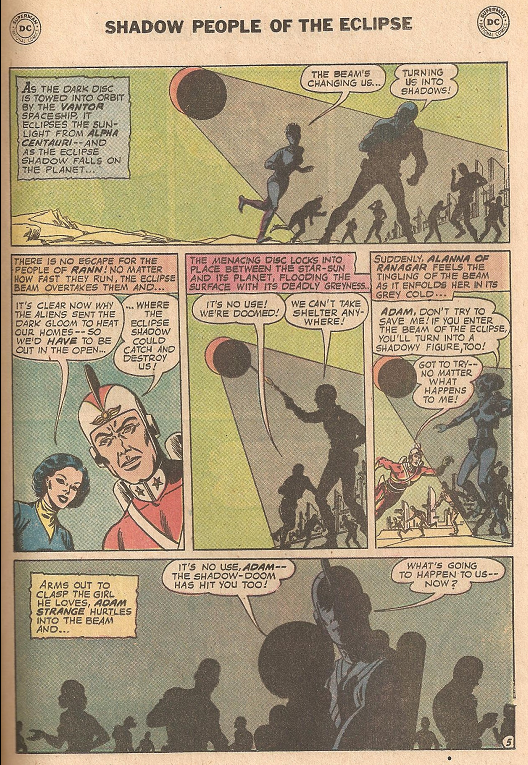 I was a bit disappointed in that the “shadow people” (Yeah, I’m obsessed with shadow people, sue me) were just transformed civilians and not an entire alien race, but I found the concept of Adam Strange fascinating, and the ending gave me a good laugh. 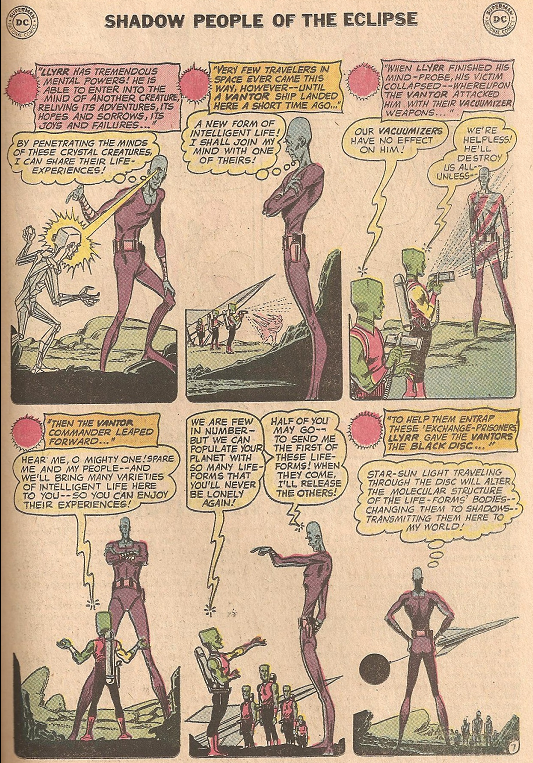 It’s a much more ambitious story than it’s predecessor, although the villain’s potential is wasted by making him a purely malevolent figure. The cover of SA 238 didn’t feature Adam except for a small headshot with the story’s title, so I never got to see the original cover until years later. 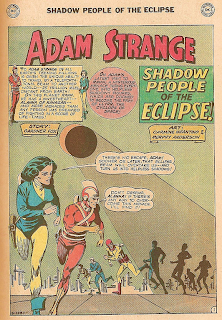 That didn’t matter to me though, I mean, how could you not want to read a story titled “Shadow People of the Eclipse”? 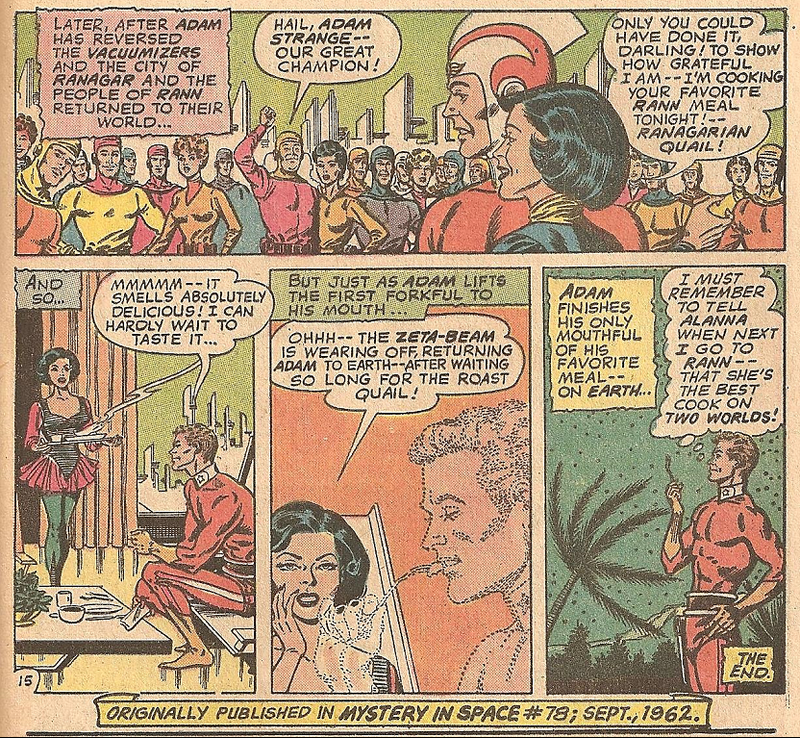 All © DC. 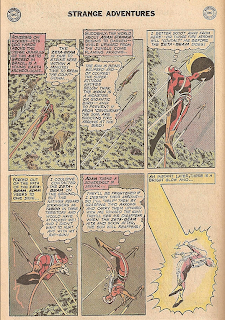 Infantino Month Part 2: "When Dead Men Walk"
Just here to review comics.